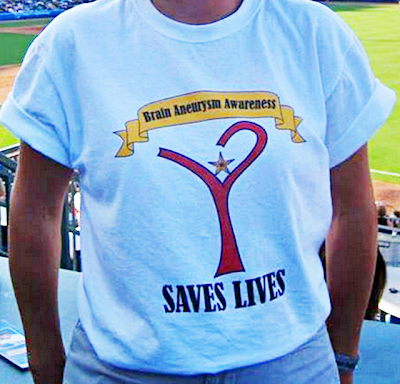 Whenever a new friend learns that I am a ruptured brain aneurysm survivor they always ask me what I felt when my aneurysm ruptured. •Sensitivity to light (photophobia). I had abnormal intolerance to visual light. I thought it was just migraine. •Sudden severe headache; the worst headache in your life. It was as if someone hit you with a baseball bat on the head. •Loss of consciousness. I was in and out of consciousness. •Nausea/Vomiting. My vomit was like that in some horror movies where the trajectory was 90 degrees. Grabe, akala ko only in the movies. •Stiff Neck. The worst stiff neck in my life. Sobra! Even after my coiling and stent. •Drooping eyelid. I thought I just need some shut eye. •Sudden blurred or double vision. Kahit after my operation duling daw ako sabi ng doctors ko. Ha ha ha! •Sudden pain above/behind the eye or difficulty seeing. Nag blackout ang left eye ko after the operation. •Sudden change in mental status/awareness You will not comprehend what other people were saying. Other people may have experienced different symptoms, but what I shared with you are the exact things that I felt when my aneurysm ruptured.